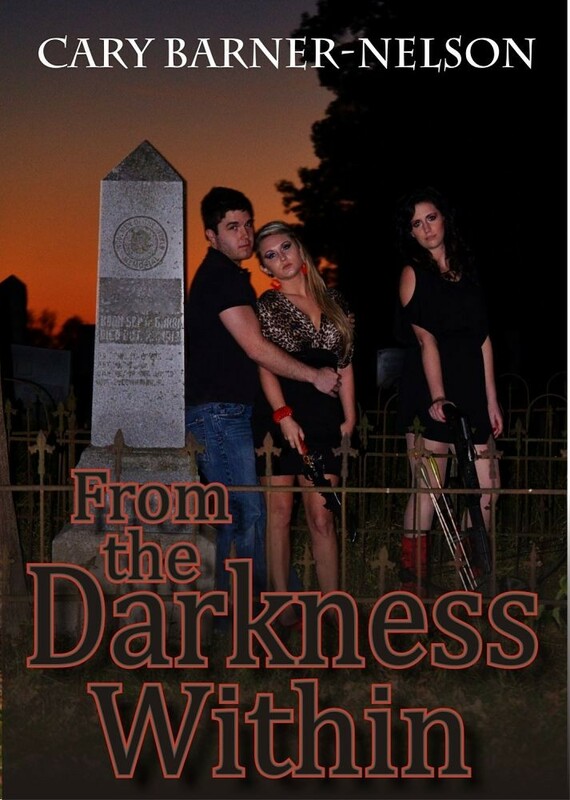 I am just so excited to be a part of my dear friend Cary Barner-Nelson’s release of her second novel From the Darkness Within. Ill let her handle it from here on out! Life isn’t what Summer Tate thought it would be. No one, including Summer, realizes the darkness that has been residing within her from the moment she was conceived. And after a fatal encounter, Summer is forced to find the truths that have been deliberately hidden from her. This is a tale of betrayal, love and self-discovery, set against a backdrop of ancient power games. When you can’t trust your own family, is there anyone in the world you can rely on? The more time I spend with Thomas, the more he seems paranoid and over-protective. Last week, for example, while walking along the beach, he was joking and smiling and we chased each other in the surf, like we always do. Then, suddenly, Thomas whipped me up in his arms and ran with me to the bike. Before I knew it, we were speeding down the road back home. Once inside, he relaxed again. Not wanting to spoil our evening, I didn’t ask anything, and he didn’t offer me an explanation, either. When I ask why he is acting that way, he tells me that he cares for me deeply. I don’t believe he’s telling me the whole truth, though I do trust that he is being protective for a good reason. The only thing that is bothering me is that he won’t tell me what is going on. Once or twice, Thomas tried to teach me how to ride his bike, but I was too scared to make much progress. He said that’s okay and that we’ll keep on trying, but he’s not mentioned it once since he developed his protective streak. It’s clear there’s something that spooks him, and I wish he’d share it with me, but I’ve never been the nagging sort. He’ll tell me when he’s ready. On the third Saturday in November, we decide to drive up to the hills and enjoy the view. He stops at a picnic area on Ramsey Mountain. The sun is shining, but the wind is pretty cold. The hot soup and coffee we brought along in our small picnic basket are more than welcome. After our snack, I snuggle up to him on the picnic blanket and he uses the second blanket to wrap around us. He pulls me from the hard ground and sits me in his lap. It’s much more comfortable that way. We talk and kiss for a few hours. Then, out of the blue, he becomes paranoid again. His head is frantically turning from left to right. Finally, his gaze fixes on the forest behind us. “Thomas. Thomas!” I nudge and get no response. “Thomas.” I shake him this time. “Yes.” His frown tells a different story. He can see my anxiety and frustration, and still says nothing. Ugh! Men! Aggravated by his reaction, I begin to walk away. “Summer, wait! Please. Let me take you back to your place,” he sighs, “then…I will explain.” He looks sincere, so I nod in agreement. We turn to face the source of the voice. A man dressed in jeans and a business jacket is standing a few feet from us with his hands clasped around his back. “Won’t you even introduce me to your lady friend?” His voice is confident and calm, with a proper English accent. “Leave her out of this, Atley. Your grudge is with me. No one else is going to die,” Thomas snarls at him. The tension in the air is palpable. His words are like venomous tendrils wrapping around my throat, cutting my air supply off. He stands so still that he could pass for a mannequin. From this distance, I can his eyes clearly. They stand out, black with a thin red ring around the pupil. I’ve never seen eyes like that. Terror consumes me. My stomach knots causing me to become nauseated. I want to run, but I can’t. Fear has me frozen in my tracks. Atley stares right at me. The look in his eyes sends chills through me and I can taste bile in my mouth. I try to speak, but nothing comes out. I am positive nothing I have to say could make things better anyway. This isn’t a man who looks like he would listen to reason. That is the straw that breaks the camel’s back. “I am trying to keep her out of the arms of a monster,” Thomas says, spitting the words at Atley. “Really? And what are you, exactly?” Atley’s eyebrows raise in surprise and his gaze falls on me for a second, then shifts back to Thomas. “Have you told her yet? It seems you have become smitten with the young mistress. It would be only fair she knew who she was kissing.” He smiles smugly. I don’t understand much of that exchange, but I’d do almost anything to wipe that smile off Atley’s face. I don’t feel particularly brave, but someone’s got to say something that makes sense. “What do you want with me, Atley?” I try to sound strong and in control, but he just looks irritated that I am speaking without being spoken to. “Young girl, I suggest that you keep your mouth closed until I address you.” His face is emotionless, calm, but I am sure things are about to become ugly quickly. I can see Thomas has noticed my confusion, and he doesn’t seem happy about the explanation he has to give me later, or something. Obviously, now is not a good time to stand and chat, but he surprises me by moving to block Atley’s view of me. He looks into my eyes as he swiftly passes me the keys to his motorcycle. He almost got away with it. Almost. Quicker than I would have thought possible, Atley is at my side, eyes on the keys in my hand. Thomas is a step ahead, though, and pushes me just enough out of Atley’s reach, so that he can’t get to the keys. My heart is racing. I look frantically to Thomas and back to Atley. The ability to make any decisions has failed me. My mind is cloudy with fear and my body trembles. “Run. Get on the bike and leave. Hurry,” Thomas yells in my direction. I don’t move. How can I leave Thomas? Pieces of the confusing conversation I’d just witnessed fly through my mind. Thomas has apparently escaped Atley before. That knowledge soothes me. I know that there is a church about a fourth of a mile up the road. I can be there in no time, if only I can get the bike to work. The bike! Atley moves to block my path. How will I ever get to it? There is no way I’m getting one step closer to him. Thomas gives my hand a light squeeze before he leaps at Atley. He knocks Atley down and they roll away from the bike. Thomas gave me a while ago will be enough to help me now. I will probably kill myself, knowing my luck. But what are my options? If I stay, Atley might kill me. If I ride away, at least I have a chance of staying alive. I just hope I haven’t wasted too much time being indecisive. Without further hesitation, I pounce on the bike like an action hero and jab the keys in the ignition. The first try fails, but the second time it fires right up. I kick at the gear shift and twist the handle the way I’ve seen Thomas do it. Suddenly, the tires are squealing and throwing dirt and rocks. Incredibly, I hang on. I point the bike toward the church and, knowing that I may not make it home tonight, I say a prayer. I’ve never been the religious type, but right now seems like an appropriate moment to start. I travel for a few minutes, passing every vehicle in my way. Just as the church comes into view, I hear a whisper in my ear. I look from side to side, but see no one. The church is getting closer now. I hear the whispering again and this time I look up. Atley is in the air above me, flying. He. Is. Flying. What the hell? I look again and he’s gone. I twist the throttle harder, certain that I would not be able to stop, that I’d kill myself crashing into the church wall. I don’t care, it’s still my best option. Just as I prepare to slow so I can veer off into the church yard, Atley leaps out of nowhere and yanks at my right arm. It throws me off balance and I land on the road with a dull thud. Raising my head, I can see oncoming traffic closing in on me. At the last second, he swoops in and grabs me. I almost cry in frustration. Why didn’t he just leave me to be run over if he was going to kill me anyway? I am not sure if he is running or flying. Either way, we are moving at a high speed. He is dodging tree after tree, and I irrationally worry he might get me killed in a collision with one of them. That should have been the least of my worries, I realize all too soon. He plants his feet and stops so suddenly, I get thrown forward. Unbearable pain shoots through my ribcage as the momentum cracks my ribs in his tight grip. I let out a bloodcurdling scream. “This will have to do. I will kill you here,” he growls. He ponders that for a moment. “You would have done the same, if you were in my place. Please, let me go.” I search for mercy in his eyes, but find none. He slowly loosens his grip around my waist. I do my best to stand straight, but the pain is crippling me and I fall to my knees. He kneels down, pulls me closer and opens his mouth. Out of the corner of my eye, I see fangs elongating. Real freakin’ fangs! I’m not sure how much panic I can feel, but it seems to keep outdoing itself. He moves in so close to my neck that I can feel his cold breath on my skin. My heart is thudding furiously. I try to push away from him, but I don’t budge an inch. He lowers his lips to my neck. I feel him glide his tongue over my skin. He is being sensual. Gross. Kill me. Kill me now. I feel him smirk at my disgust. And I swear he lets out a chuckle. I don’t understand why Atley is taking so long to kill me. I can no longer control the tears. What would be the point in trying? Sobs break out of my throat and Atley stops what he is doing. He backs away and looks me in the eyes. “I will give you another choice, my dear.” His eyes shift a little, seeming to weigh the options he wanted to give me. “You will not like either option, but it will be your choice to make, nonetheless. Obviously, you know what I am.” His voice is smooth and cold as ice. “I can take your life away slowly by drinking your blood. It hurts, but you won’t feel anything towards the end. Or I could just break your neck. What shall it be?” He studies my face. Patience is an obvious strong suit of his. There is no hint of annoyance. I shake my head. The loose hanging tears fall to the ground, allowing more tears to spill from my eyes. “I like that. I like that you have just accepted your fate. If keeping my promise weren’t so important to me, I’d keep you alive. I am sure you would be of great service to me.” He kisses me on the forehead and gently places each hand over my ears. “Close your eyes,” he says softly. His tone is no longer icy—in fact, it’s warm. Almost caring. He removes his hands. I hear the whistling of the wind, and I feel an immense amount of pain only for a moment as he slams his balled up fist into the side of my head, rendering me unconscious. Hello, Everyone! I am twenty seven and I married the best man on the planet. He has a beautiful and fun son, who I love very, very much. Those two guys mean the world to me! My husband and I do hope to have some kiddos of our own one day. Family has and will always be so important to me. I am blessed to have the family that I have. I am a Service Representative for a company in the State of Arkansas, United States. My daytime job is filled with joy and sometimes aggravation, but I love it! The only way I’d leave is if I get rich and can write novels full-time. I began writing in July 2009, merely by accident. My coworker, Elaine, was telling me about a place she went to on vacation. For whatever reason, this stuck with me. That same summer, (the summer before I met my wonderful husband) I met Steven in person. He and I have been friends since 2006. I met him on the Internet through a social networking site. Ha! Did you see that coming. Meeting Steven, plus the conversation I had with my coworker led me to daydreaming. Apparently, I daydreamed a lot, because it didn’t take long before I had the plot figured out for Justice for All. At first, I didn’t plan on writing a book. I actually thought of it first as a movie. I dreamed that Channing Tatum would play Alex, so Channing if you are reading this–wink wink. I knew there was no way I could get in touch with the right people to have a movie made about it, so I decided to write. After finishing Justice for All in May 2012, I promptly began working on From the Darkness Within and now, I am working on my third novel. Growing up, I never imagined writing one novel, much less two or three. It’s fun and exciting. I love exploring the opportunities I can give my characters. You can follow Cary on her website and Facebook. 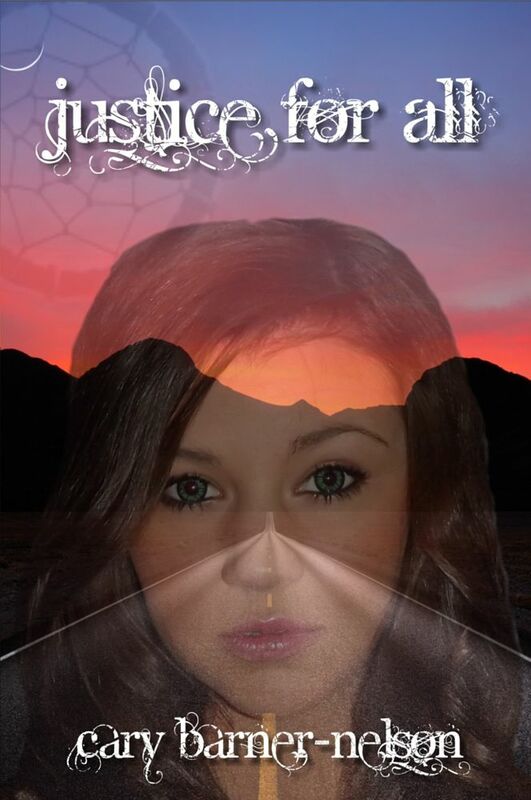 You can pick up her books Justice For All and From the Darkness Within on Amazon.